A 4x4 tyre designed for both off road and on road perfomance with smooth stable handling, offering all season perfomance giving you versatility in all conditions. The Geolander G91F is stamped on the tyre sidewall with m&S, indicated it's perfomance characteristics in off road conditions. 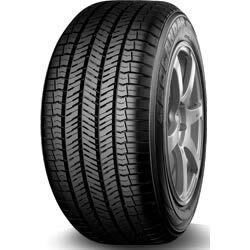 Used a s original equipment on a range of utility and 4x4 / SUV vehilces, the Yokohama G91F is part of a wider Geolander family of tyres that aims to provide comfort without the usual compromise in handling. With long tread life and all season handling, this is great for any 4x4 user and particularly for those who put the miles in and don't want to be changing to winter tyres yet.